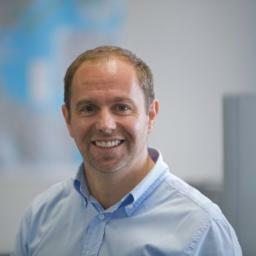 Ronnie Hamilton, Our Principal Technical Consultant Discusses the Key Takeaways from IGEL’s Disrupt Conference in Munich. Day 1 for me was the IGEL Certified Engineer (ICE) boot camp which was so well attended that the room had to be divided into two groups! This may have been due to some requirements from the new partner program. All in all, the day provided an intense overview of the IGEL software and Universal Management System (UMS) with the added surprise of an exam to be completed within the next few days. Thankfully, I took it straight after which helped as the guys made sure to touch on most of the points required to get you through. Day 2 is when the proceedings really got started. Out of all the keynotes I’ve ever been to, I have never seen a guy do stunts on a bike down the middle of the keynote - literally upside down as he passed! This is where we got the lowdown on IGEL and their transformation - to be much more than a thin client computing company. They covered how the new IGEL OS 11 fits in to allow IGEL to be truly THE end user computing platform for all devices, not just IGEL manufactured ones utilising the IGEL converter licence which allows you to install the IGEL OS to any compatible X86 platform. This was followed by a very interesting keynote from Nathan Hill, Research VP at Gartner where he talked about digital transformation and how the digital workspace of the future may look, how IT needs to focus on more business outcomes and around the actual end users themselves which will ultimately drive change to enable them to get the job done to the best of their ability. Next up, I attended Simon Binder’s Windows Virtual Desktop breakout session where he gave a very good overview of what the service is, how it can benefit users and how IGEL fits into the picture as the secure endpoint to connect to the Desktop Service. This was followed with What’s New in IGEL OS 11. IGEL has consolidated their product offerings into Workspace Edition and Enterprise Pack with the addition of new tiered software support. Workspace Edition – Consists of the enterprise class Universal Management Suite (UMS) and now incorporates features like the Multimedia Codec Pack (MMCP), UMS High Availability (HA) and IGEL Management Interface (IMI) programming interface. Enterprise Pack – Consists of remote device management via the cloud gateway, asset tracking, user-specific settings and mobile device management. Revised Support – Now comprising of three different tiers; select support, priority support and priority plus support. The introduction of the Citrix Workspace App with the latest firmware update - which is the first I’ve seen in this space. The partnership with NVIDIA where they will install a small NVIDIA GPU in the thin client so that you will be able to decode at the client what the server has already encoded using NVIDA vGPU’s, which is cool tech. Also, you can now move your licence between devices, so you could convert some old PC’s to IGEL OS and have them all centrally managed. Then when they are ready for disposal, you can get the newest IGEL hardware and move the licence from the old device and you’re ready to keep running! There were other sessions throughout the day from IGEL partners including one by Nutanix where Ruben Spruijt gave a demo overview of Frame; Nutanix’s foray into the world of Desktop as Service. Frame has been built from the ground up focusing totally on cloud and mainly, highly graphical workloads. It was doing quite well in the high-end graphical end user workloads before Nutanix acquired the company recently. Benny Tritsch had a very detailed session on how to measure true remote user experience. Thomas Poppelgaard & Frank Brattstig had a session on Graphics and Virtual Reality in EUC and using VR on IGEL devices. They also had a demo booth set up running all this over Citrix on a UD Pocket which was very impressive and every time you walked past, someone else was giving it a go! Of course, Doug Brown had a community geek speak session that gathered the EUC guys for a bit of a panel Q&A session where various topics were discussed. There were many other sessions throughout the day but due to overlaps, they could not all be attended. IGEL ran various product deep dives and road map sessions specifically for partners to get to grips with what was coming from new devices to how the new partner program would work for them. The evening awards and after party were held in the same hotel which was pretty handy as it was freezing outside and being able just to head downstairs was quite nice. There were various street food vans with burgers, tacos, chilli and lots of other bits all washed down with some German beers. 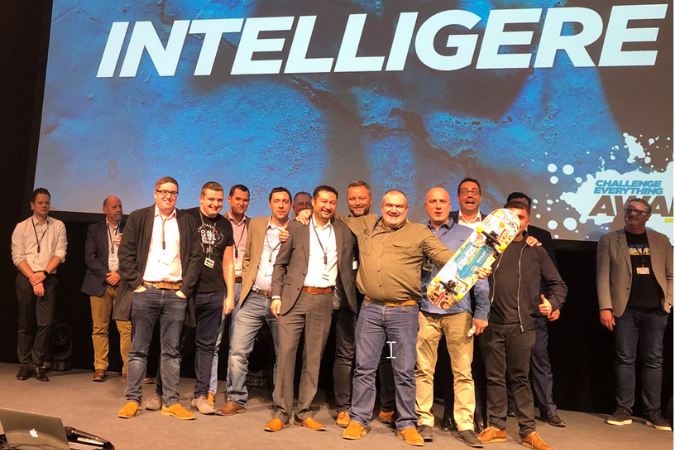 We were delighted to get nominated in the Best Distributor Awards but unfortunately, we were not as lucky as Intelligere - one of our UK resellers who scooped the European Software reseller of the year. So well done to Intelligere! With that, it was pretty much a wrap from our side as we had an early flight back to Ireland the next morning and unfortunately, missing out on a couple of sessions first thing. There is defiantly a buzz around IGEL at the moment – they have hired a good executive team who have big plans for the company and you can see they are certainly expanding in the US and throughout Europe.